There. I said it. I didn’t want it to be. I spent years of my life believing weight loss was all about activity — that if you just keep moving, you’ll be thin no matter what you eat. But that, apparently, is not the case. At least, it hasn’t been for me*. I’m finding, for myself, that recording my calories — even imprecisely — is the ticket when it comes to losing weight. I’m shooting for, and mostly hitting, about 1600 calories a day or fewer. And I’m finding that on the weeks when I log what I eat, the number on my scale drops. Weeks when I don’t, it rises or holds steady. Hardly a clinical study, I admit, but compelling enough for me. I’m using MyFitnessPal on my phone as my meal tracker, and like it a lot. You can use it to record your meals (I do), how much water you drink (pffft — nah), your weight (I … grudgingly do), and I’m sure many other valuable things that I don’t have or make time for. Oh, and if you work out, you can add the workout and it will adjust the number of calories you “can” have that day. It also has a pedometer, and you can have it adjust your target calories as you take more steps during the day. MyFitnessPal also has a very useful tool on their website (MyFitnessPal.com > Food > Recipes) where you can upload your recipes or import ones from other sites and it’ll calculate the calories per serving. If you’re just linking to a recipe on someone else’s site, though, you want to take a quick look at the ingredients before saving it. 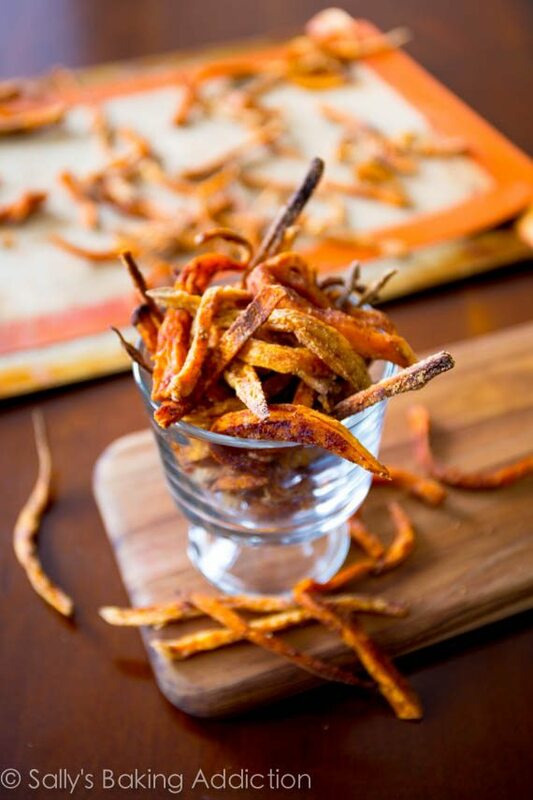 It sometimes likes to decide that, instead of a teaspoon of sea salt, you’re adding a cupful of sweet potato fries with sea salt. Which, as you might imagine, does affect the outcome a tad. But it’s still a much easier process than I’d expected, even having to change a few ingredients back to their intended form now and then. What’s interesting is that I often eat more food when I’m logging what I eat. Fewer calories, but more food. I snack more, my meals are more interesting and colorful, and I generally feel better about the food itself. The trouble, of course, is when eating out. It’s quite easy to plan a <500 calorie meal for yourself (notice I didn’t say shop for, prepare, package, store, serve, or clean up from that meal — those things I’ll discuss a bit, hopefully, in a later post). It’s less easy to eat a <500 calorie meal at, say, Buffalo Wild Wings. Especially if you’ve come to regard the salads at such deep-frier-topias with a hefty amount of suspicion. I do eat out a fair amount, though, and often at national chains, so I thought I’d occasionally do posts on what options I have when eating at some of them. No promises, though. *Okay, okay, there are many paths to weight loss, and different strategies work better for some people, others for others. And there is definitely much more to nutrition than mere caloric content. And I am also exercising, yes, most days of the week, doing yoga most mornings before anyone else is up. But doing so has more to do with strength and stamina (not to mention shape) than weight itself, I’m reading lately. The thing is, calorie counting is working for me whether I work out or not.